I was a few days into my South America trip when I decided to check my work email and found this message: “Jean, we saved a piece of lemon cake for you in the freezer. You’ll really like it.” Knowing my penchant for all things lemony, my office friends thoughtfully set aside a slice of the cake that one of our vendors’ wives made for our staff. Of course, on my first day back to work last week, I made a bee-line for the kitchen for an early morning sweet treat. 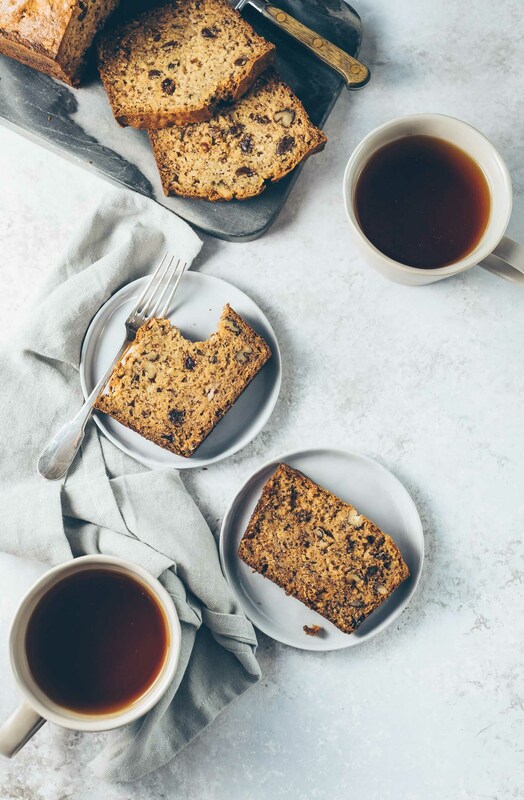 Since I rarely eat breakfast and often arrive at the office hungry, the wait for my generous slice to come to room temperature on the counter seemed interminable but one bite was all it took for me to deem it worthy of anticipation indeed. The cake was big on lemon flavor and not too sweet. I was pleased the find t0 recipe attached to the email with the baker’s note that she always adds more lemon juice and lemon zest than called for. But what caught my attention was its texture. Cornmeal lent a cornbread-like character to this otherwise light-tasting, refreshing cake and I quite liked it. I couldn’t wait to bake it myself. I was not given the exact lemon juice and lemon zest amounts that our vendor’s wife uses in her version but I was happy with the amounts I used. This cake is ultra-lemony so feel free to use the original recipe below without my adjustments. However, it would be hard to go wrong either way. 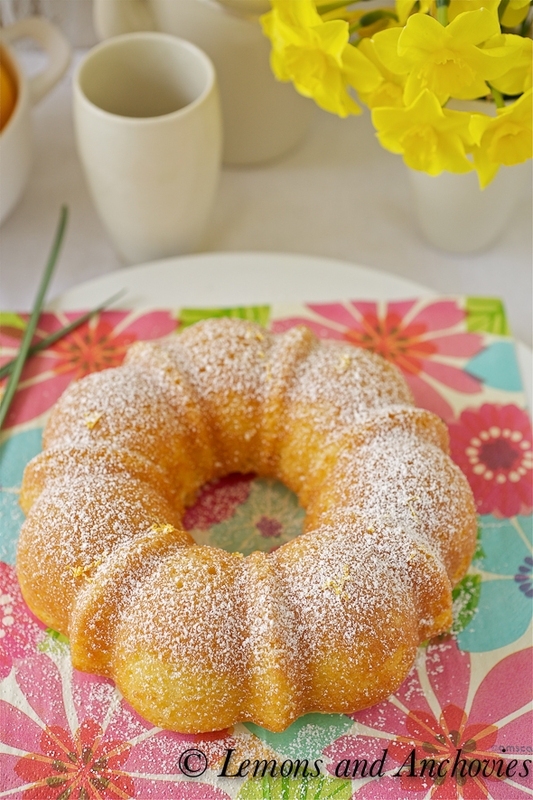 I can’t think of a better way to take advantage of citrus season (or this spring-like weather we’re having) than with this cake. * I have not yet organized my pictures from South America so my recap will be delayed by a post or two but I will share soon…promise! ** See step one below for using a regular-bundt pan. I used smaller moulds (image below) and a small bundt pan for this recipe and didn’t realize until later that my mini moulds have a decidedly holiday feel. Heat oven to 325°F. You’ll need a 10-cup decorative tube pan or a 12-cup Bundt pan coated with baking spray [my cake looks smaller because I used mini moulds and a smaller bundt pan]. Whisk together the flour, cornmeal, baking powder, baking soda and salt in a medium bowl. In a separate bowl beat the butter, sugar, lemon zest and lemon juice with a hand mixer set at medium speed until the batter is light and fluffy. Beat in the eggs one at a time. Turn the mixer down to low and alternately beat in the flour mixture and buttermilk until the batter is smooth. Add the lemon extract and stir into the batter if using. Scrape into prepared pan; level top with spatula. Bake 55 to 65 minutes until a wooden pick inserted in cake comes out clean [for smaller cakes, cooking time is 25 minutes for the smaller moulds and 30 minutes for the smaller bundt pan]. Cool cake in pan on wire rack 5 minutes. Meanwhile, make the sugar glaze: Whisk glaze ingredients in a small bowl just until combined (sugar will not be totally dissolved). Invert cake from pan onto rack; place rack over a baking sheet. Brush glaze all over hot cake until absorbed (sugar crystals will be evident). Cool completely. Transfer cake to a serving plate and cover. Let cake rest several hours, or overnight, before serving. Store cake covered at room temperature up to 4 days. Cut into thin slices to serve. Gorgeous cake – I especially love the mini moulds! 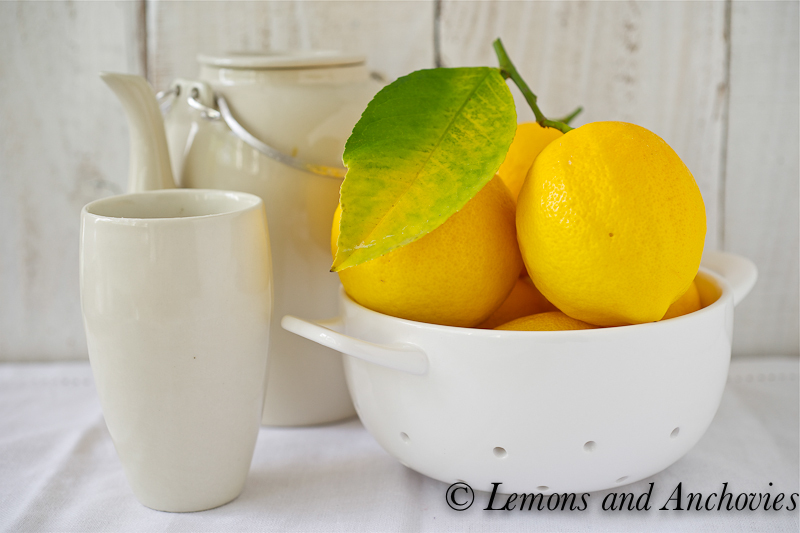 I have Meyer lemons on my mind as well, and am planning a dessert with them this week – I love their floral perfume. I couldn’t think of a better way to return to the office after a trip away…what a wonderful welcome, and a great incentive to get back to the daily grind! Your cake is baked to perfection, Jean! What a lovely cake! I’m just loving this cake! Cornmeal must give it such an amazing texture! Welcome back! What a gorgeous post! 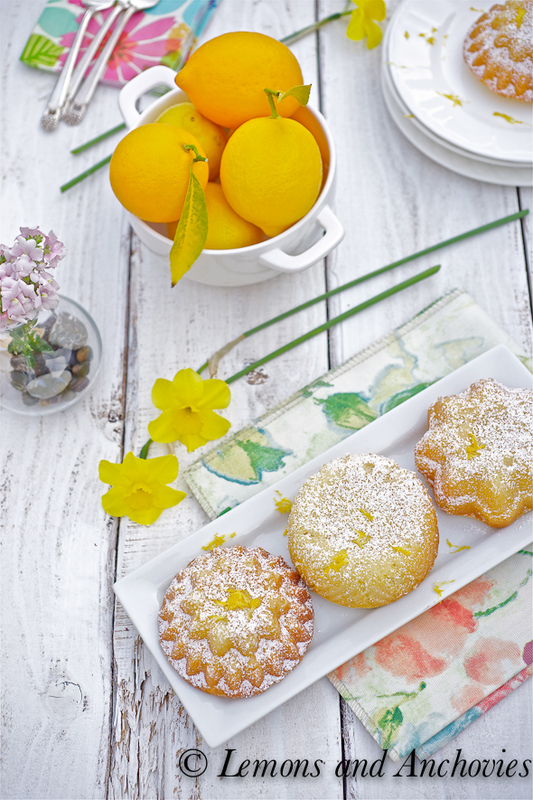 I love lemon cakes, so will have to try this one! Looking forward to seeing your travel photos, too. Your little mini cakes are gorgeous! Lemon cornmeal cake has been on my list of recipes to try, I’ll have to give them a shot now! I love lemon desserts and the texture of the cornmeal sounds amazing! Jean – stunning photos! Love your post and this cake looks divine. Look forward to seeing your photos from your trip!! 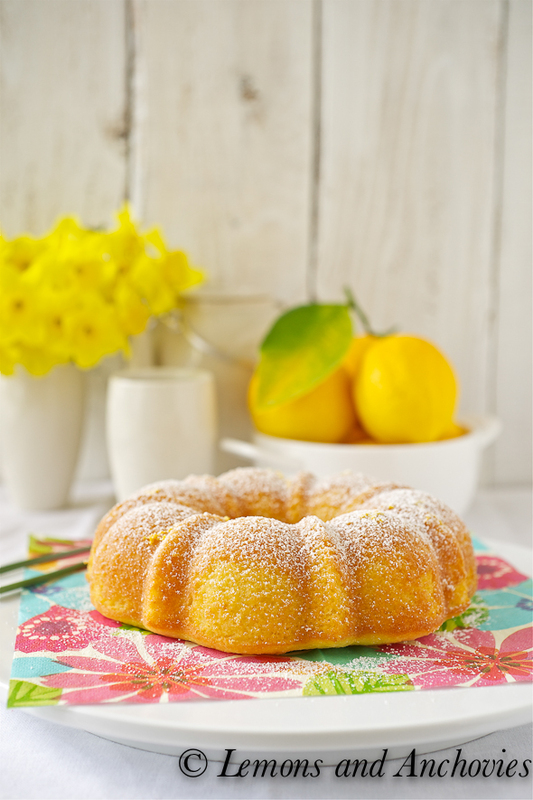 I love lemon cakes and this one looks so delicious. You captured it so beautifully! I wish I can try your recipe but I’m having a problem looking for cornmeal. Lost in translation! beautiful tablescape, Jean! i love all things lemony, too. not sure about the cornmeal, but will certainly, one day, give it a try. Absolutely stunning!! Love the cake, but love your photographs more!! Citrus is always a pleasure!! This looks absolutely delicious. Would love for you to share this with us over at foodepix.com. Pictures are gorgeous. Oh man this came looks absolutely amazing!!! I’m saving this recipe to try. I think the cornmeal would make an interesting (but great) addition! Welcome back! I can’t wait to see your pictures:-) How wonderful that you came home to a slice of lemon cake, what thoughtful coworkers! Your photos are so Spring like, I love all the bright colors and thanks for sharing this recipe! 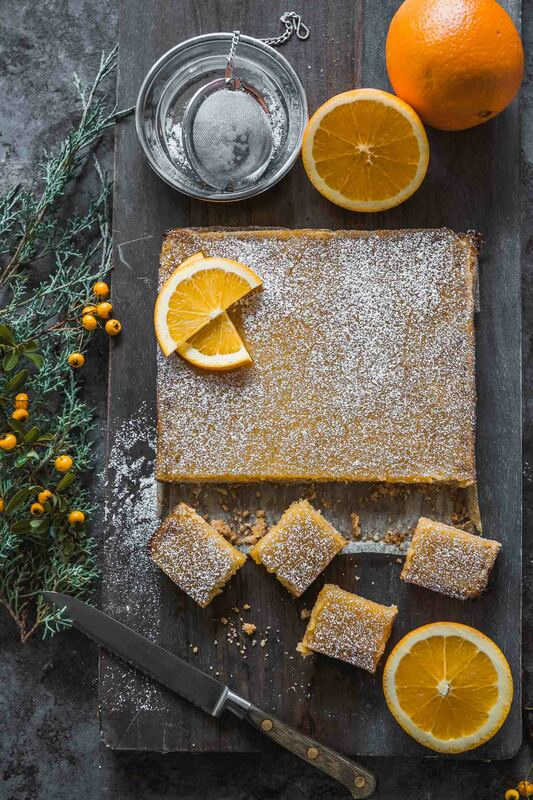 Cornmeal and citrus were born to go together. I love cornmeal in desserts… it adds such fantastic texture. Oh yummy! I never get tired of anything lemon! So fresh and delicious.. I love your gorgeous photos. Glad I found this blog today. you have a gorgeous blog with gorgeous photos! this cake looks great. i love the combination of flavors! What a lovely cake! I just know I will love this cake. Love the corn meal addition. Definitely making it soon. Maybe I’ll take it to the office to share with my coworkers. Beautiful photos as well. Such beautiful and elegant photos ! So glad to have found your site.I love citrus flavor too and it can never go wrong. This was a very easy cake to make and tasted fresh and delicious. Will definitely make this again. I love any dessert that’s flavoured with citrus, but this particular combination of lemon and cornmeal sounds particularly yummy. Sounds like I may have to try this out soon! BTW, I love the little mini-cakes! Maybe it’s because I’m sick of winter, but they feel more “fresh spring sunshine” than “holiday feel” to me. 🙂 Anyway, either way they’re too cute for words. I am loving this sunny lemony spirit uplifting post. I am in to anything citrus myself and would nothing more than a slice of lemon cake. Love the recipe and love your photographs and props. 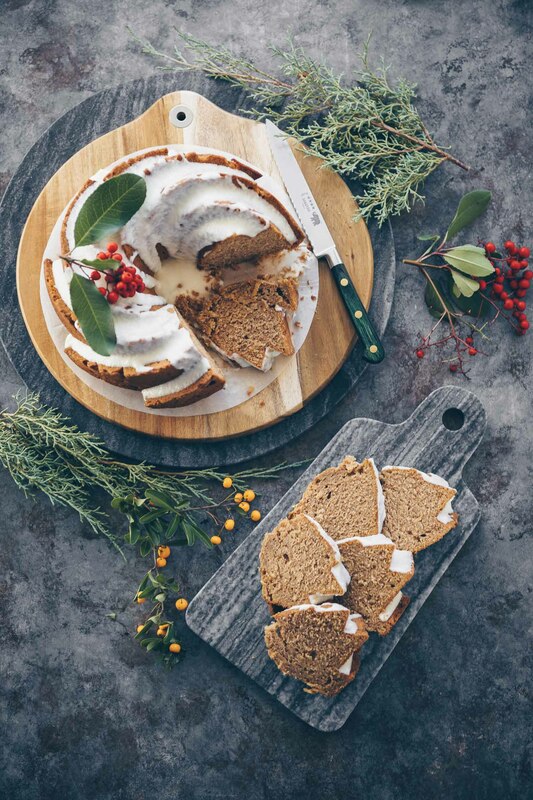 Lovely blog post, tantalizing recipe, beautiful photography. I’ll be back! I love the mini molds you used, they look quite festive. if anything goes as planned I’ll be sharing a photo of this cake over the weekend on my facebook page. planning on making it tomorrow! 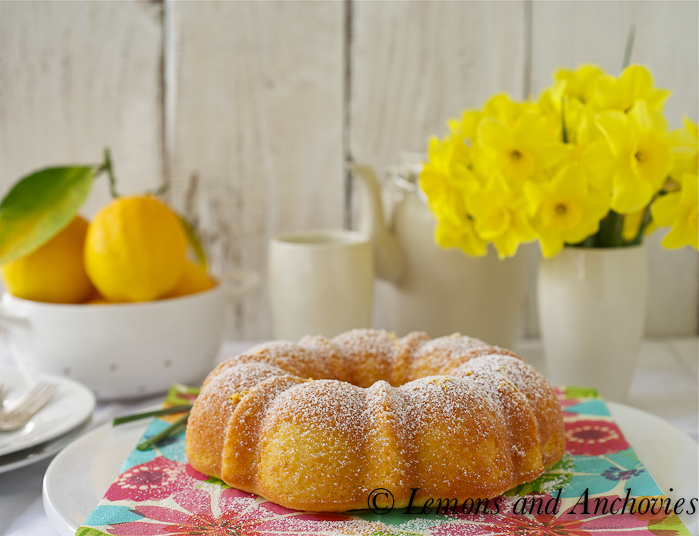 Wow, i know you must get tired of all of those comments saying how amazing this looks, but seriously lemon cake has never looked so good until this post! Beautiful! What a nice friend to leave cake in the freezer for you! What a great looking cake and I can smell the lemon! I’m not a big cake eater but I could really sink my teeth into this one! Beautiful pics! Without even having tasted it yet, I know that I will love this recipe and cake. Beautiful, bright and happy post, Jean. My kinda bakin’ as I really like the use of the cornmeal and using lemons. Gonna for sure bake this up with my Meyers.